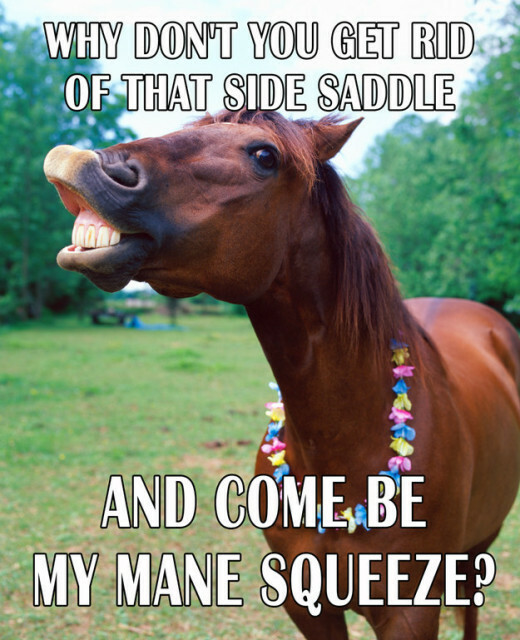 I recently got on the topic of cheesy pick-up lines with a friend, and it came to my attention that there could be an untapped wealth of ridiculously punny pick-up lines for equestrians, just waiting to be compiled for EN readers’ pleasure (or disgust, take your pick). Do you have any horse-themed pick-up lines that you would (or wouldn’t) love to use? Email them to me at [email protected], and I will put them in an upcoming post! Video of the Day: Meet Shammy, the adorable dwarf miniature horse.